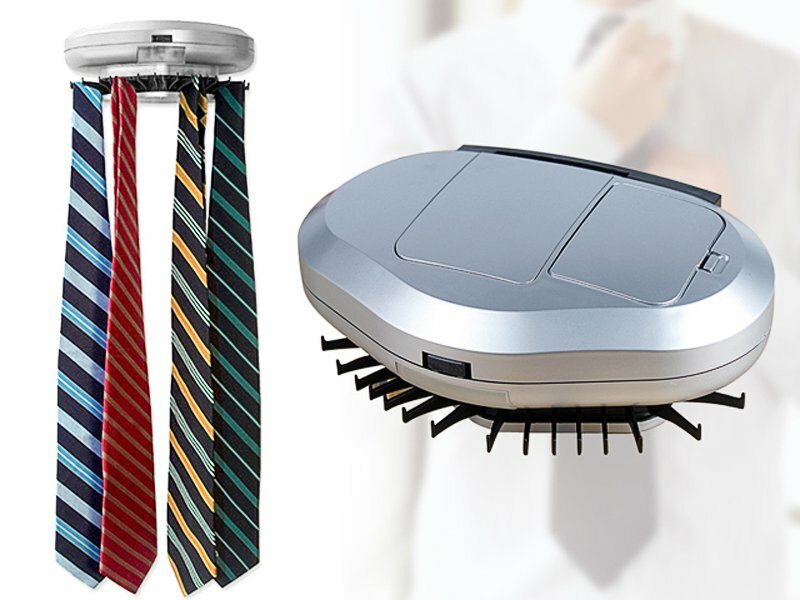 Make hectic mornings less stressful with the motorized tie rack—order yours today! Only takes up four inches. This exceedingly compact motorized tie rack clips directly onto your closet rod. With a sleek, cylindrical design and more than sixty flaps to place your ties on, it lets you organize every tie while taking up just 4 inches of closet space. You’ll see the light with our Motorized Tie Rack. Front-side light makes it even easier to find the tie you’re looking for. At the press of a button, the light switches on and the cylinder moves the ties around in a circle, so you can make your selection with ease. Our motorized rack is built for belts too. Clip on a special attachment and have this rack play double duty, keeping your belts organized and ready for you at just the push of a button.